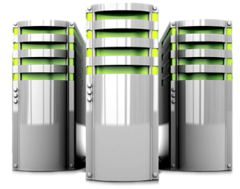 ﻿ Server Management | Hand Off Your Technology Hassle to Us | Wichita, Kansas | JITDESIGNS LLC. JITDESIGNS includes Antivirus Software licensing with the award winning BITDEFENDER, monitoring, and detection. Every 4 hours, we perform a check to see if definitions are updated and include alerts if definitions fall 3 days behind. The NOC carries out multiple preventive checks each week, reducing chances of failure. Trend reporting on critical parameters makes it possible to capture and analyze important parameters. When the NOC agent is installed on a server, it runs automated processes and performs a self-check routine to determine what ports, services, and processes are currently running on the machine. This information is analyzed carefully and policies are applied to monitor the server. Scans are scheduled to run weekly to capture hardware, software, and operating system settings from our client's servers. JITDESIGNS's Patch Management Team downloads the available Microsoft patches and installs them in a test environment where we will either whitelist or blacklist all critical Microsoft (OS and applications) security patches. JITDESIGNS only deploys approved Whitelisted Microsoft Patches. JITDESIGNS checks each logical disk on the server to assure there is more than 750 free megabytes available. Our team will provide remote remediation services as required to resolve the problem. In the event the problem cannot be resolved remotely, we dispatch an engineer to attend to the problem. 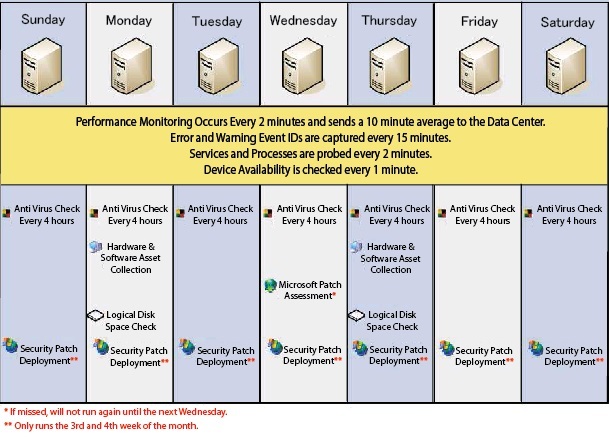 JITDESIGNS provides a comprehensive monthly report detailing preventive maintenance activities such as patches applied, antivirus updates completed, spyware instances removed, temp files deleted, etc. ©2018 JITDESIGNS, All rights reserved. We are an authorized Bitdefender partner.